Photo by Shannon Fortenberry, Tikal, Guatemala, May 2010. 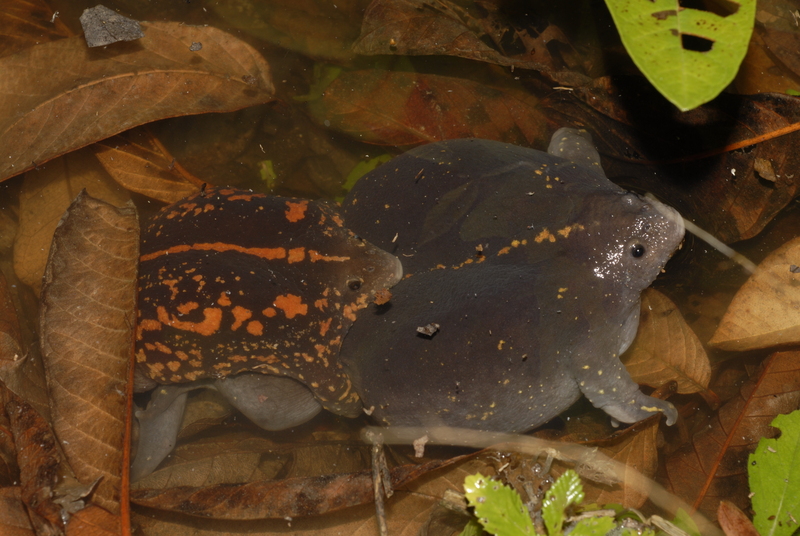 Middle American burrowing toads, Rhinophrynus dorsalis, use inguinal amplexus. That is, the male always grasps the female in the inguinal area, just anterior to her hind legs. This photo taken in Tikal, Guatemala, May 2010. Hyla microcephala, Cockscomb Basin Wildlife Sanctuary, Belize, May 2010. Bufo valliceps, Tikal, Guatemala, May 2010. Agalychnis callidryas, Cockscomb Basin Wildlife Sanctuary, Belize May 2010. All photos by Bob Thomas (except top). 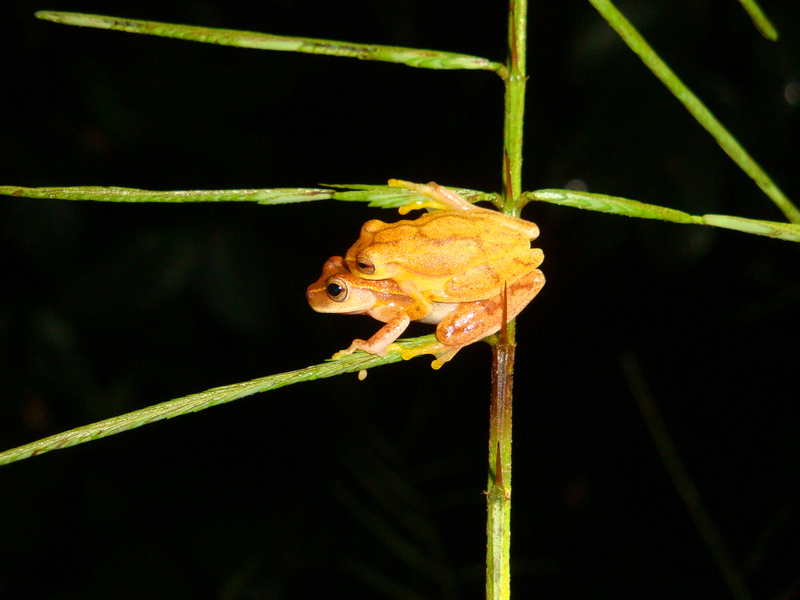 The three photos above show frogs that use axillary amplexus. The males hold on to the female in her forearm pits. 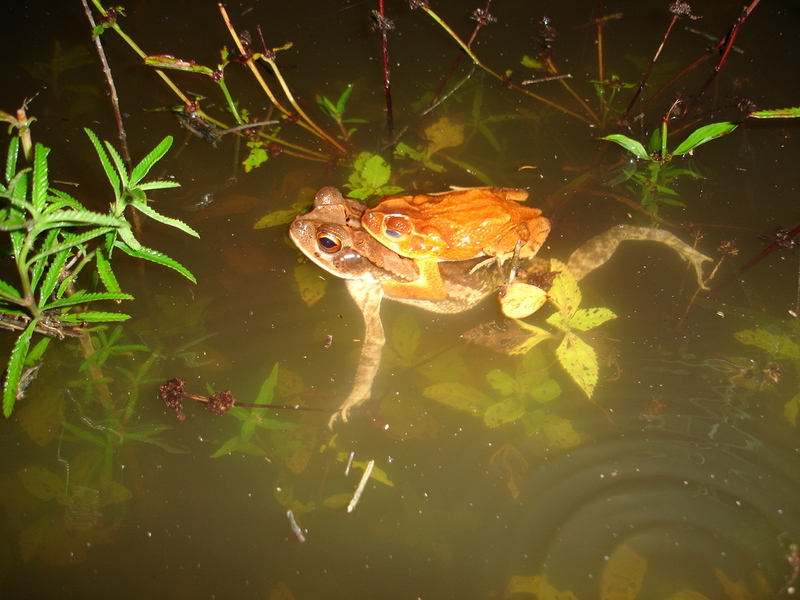 This is the most common form of amplexus. There are a number of other amplectic techniques. 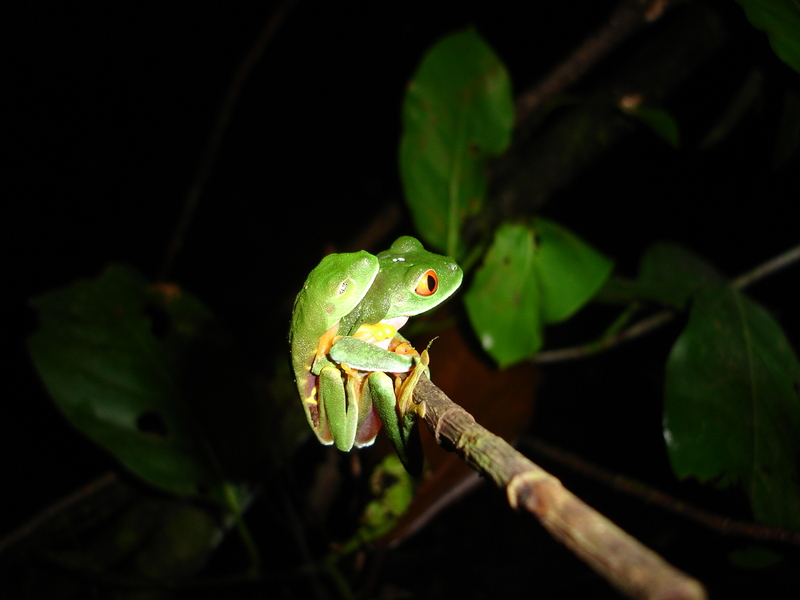 Frogs of the Microhylidae “glue” themselves together via a sticky substance that holds the male’s chest to the female’s lower back. Some dart-poison frog (Dendrobatidae) males wrap their arms around the female’s head, while others may simply back up to one another and not even touch. Some frogs will straddle one another.